Sen. David Vitter (R., La.) called on the Justice Department (DOJ) Tuesday to investigate an armed raid by Environmental Protection Agency (EPA) agents on an Alaskan gold mine that occurred earlier this year. Vitter, in a letter sent Tuesday to Attorney General Eric Holder, requested the Justice Department investigate the EPA raid, which occurred at a gold mine in Chicken, Alaska earlier this year as part of an investigation into violations of the Clean Water Act. "The EPA's use of unnecessary armed intimidation tactics against Alaska miners this summer was extreme, especially to investigate potential Clean Water Act violations from what are essentially a handful of small business owners," said Vitter, the ranking member of the Senate Environment and Public Works Committee. "At the very least, EPA owes Congress and the American people a thorough explanation, but since they have refused to publicly explain their raid, I hope DOJ will investigate EPA's excessive actions." Vitter and Sen. John Barrasso (R., Wyo.) sent a letter in September calling on EPA Administrator Gina McCarthy to explain the circumstances of the inspection, which rankled Alaskan politicians and residents already distrustful of the nation’s top environmental enforcer. "According to several news outlets, EPA agents needlessly intimidated miners last month near Chicken while investigating supposed Clean Water Act (CWA) violations, going so far as to wear full body armor and carry guns in confronting the surprised miners," the senators said. The Alaska Dispatch reported in August that armed law enforcement officials suddenly appeared at a remote gold mine deep in the interior of the state to inspect for compliance with the Clean Water Act. The Alaska Environmental Crimes Task Force—which includes agents from the EPA, FBI, Coast Guard, Department of Defense, and Alaska Department of Public Safety—conducted the operation. "These heavy-handed tactics appear to have been wholly unnecessary, and we therefore request that you immediately accommodate Alaska Gov. Sean Parnell’s call for you to review and evaluate how EPA handles CWA violations," the senators continued. Republican Gov. Parnell has ordered an investigation into the Alaska Department of Environmental Conservation’s Environmental Crimes Unit and the EPA’s Criminal Investigations Division. The Alaskan congressional delegation is also demanding answers. 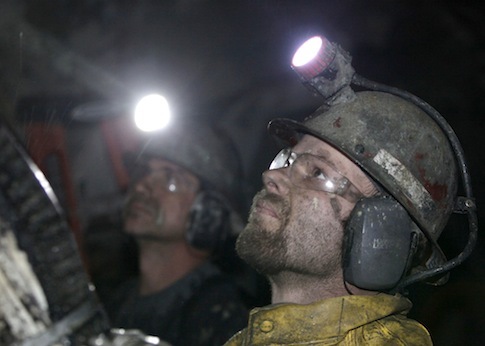 The EPA disputes critics’ version of the narrative and said the operation was not a "raid" but rather an inspection of a mine that has a history of violations. "The investigation was targeted to known violations and operators with histories of violations," the agency said in a statement. "All interviews and discussions were consensual and cordial. The investigations took place on state and federal lands, not private property. No homes were entered. There weren’t any confrontations or incidents of using force throughout this particular law enforcement operation. Violations were found, no arrests were made, but the investigation of these and possibly other violations continues." The EPA also said its law enforcement officers, like other federal law enforcement, are required to carry firearms to safely and effectively perform their responsibilities. "Environmental law enforcement, like other forms of law enforcement, always involves the potential for physical, even armed, confrontation," the agency said. This entry was posted in Issues and tagged David Vitter, Department of Justice, EPA, Eric Holder, John Barrasso. Bookmark the permalink.